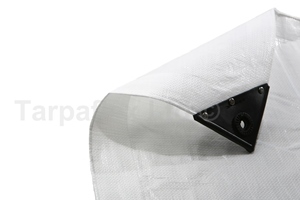 Our Super White tarpaulin roll is manufactured to 200gsm, with a 14 x 14 weave count. Sold on a 1.8m x 100m roll, this item is popular with tarpaulin fabricators, and for packaging and fencing requirements. 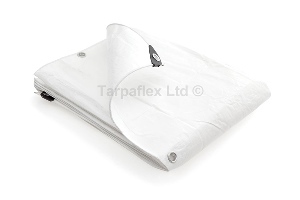 This roll of waterproof tarpaulin is UV stabilised and does not come with eyelets or hems.